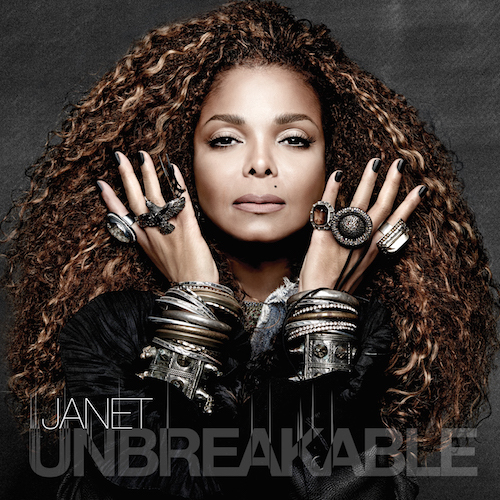 Today, Janet Jackson announced, from her “lips,” the release date for her long-awaited new album Unbreakable due in stores October 2nd. The set is her first since 2008’s Discipline, and her first from her new record label, Rhythm Nation Records. The album is available for purchase on janetjackson.com and is up for pre-order on iTunes NOW. It features guest appearances from J. Cole and Missy Elliott, as well. Find the track listing to the album below, and read the press release on janetjackson.com. Meanwhile, Miss Jackson has already kicked off her Unbreakable World Tour on August 31 in Vancouver, performing new music from the upcoming album for the thousands of fans who attended the show also on the second date in Calgary, last night. The tour will continue tomorrow in Edmonton.